Come hear what God is doing through our partners from the Middle East tomorrow night at 6:30 PM. Snacks will be provided at 6:00 PM. Preschool and Children's Ministry will begin at 6:30 PM. 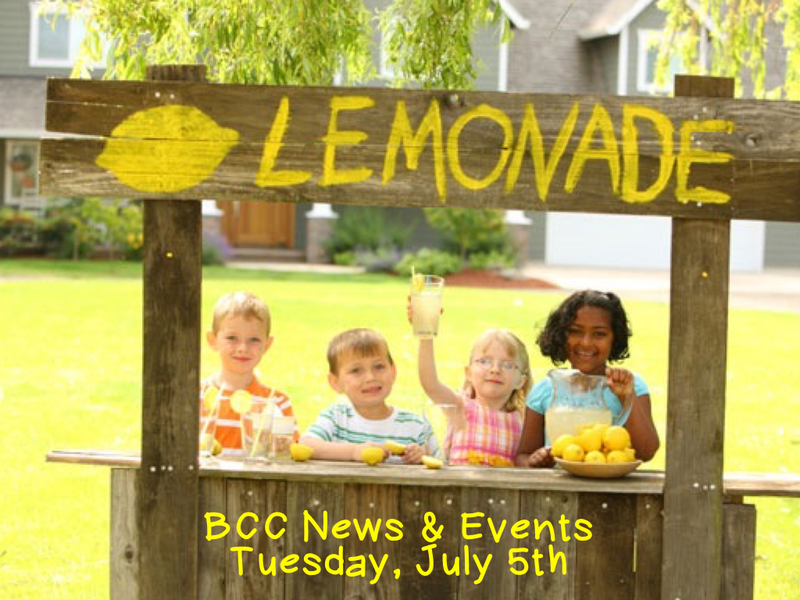 This is a great opportunity to find out more about the beliefs and structure of BCC. If you would like to know more about joining BCC, make plans to attend tomorrow evening at 6:30 PM in the orange room downstairs. Childcare and refreshments will be provided. Below are three ways you can serve and prepare for VBS. We appreciate all your help to make VBS a great success and share Christ with others. Sign up to serve, even if it just one day. Volunteers need to be here from 8:30 AM to 12:30 PM from August 2nd through August 5th. We are especially in need of childcare workers, crew leaders, and preschool game helpers. Drop in during VBS Work Nights. They are every Tuesday night in July from 5:00 to 8:00 PM in the blue room. The first one starts this evening at 5:00 PM. Please don't forget to pray and invite kids. July prayer calendars and registration forms are online. Check out more information at www.facebook.com/groups/BCCVBS/. Middle and high school students will enjoy games, food, and fellowship on Monday, July 11th at the French Broad Community Center from 7:00 to 9:00 PM. Kingdom Quest Day Camp Ministry will be using the entire campus next week; therefore, Midweek Worship will not be held next Wednesday, July 13th. Please pray the children attending camp will draw closer to Him.